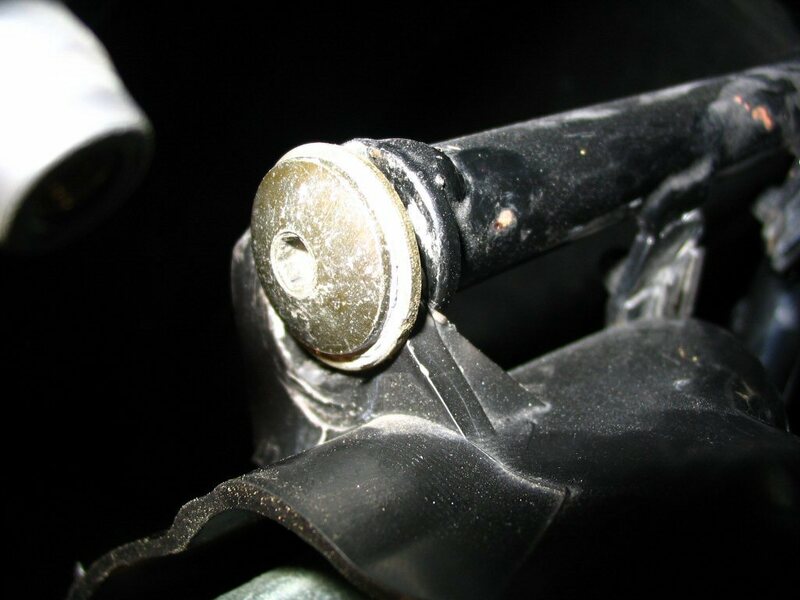 My frustration reached a boiling point with regard to the light output from the headlight on the Quota 1100. Anyone who has navigated unfamiliar back roads in the middle of the night using only the Quota's headlight would use the word anemic as a compliment. But what to do? I first thought about adding driving lights. 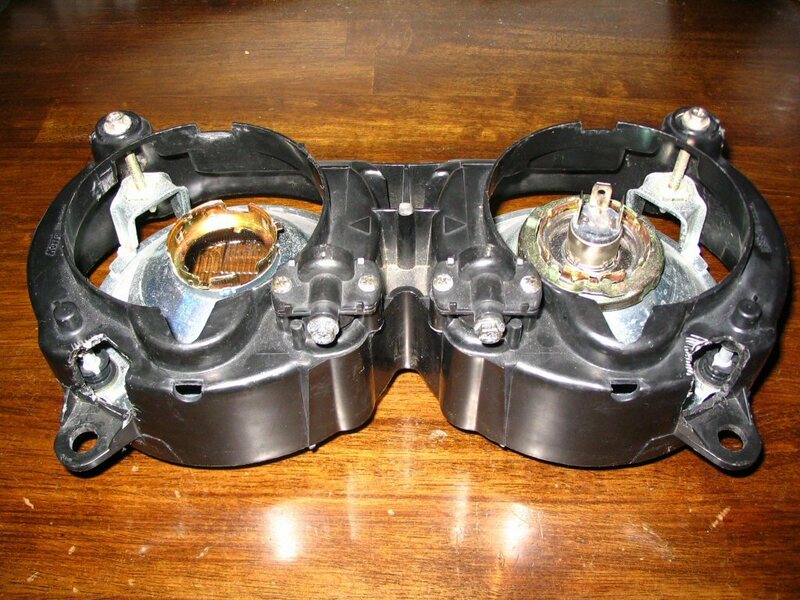 But, I really didn't want the worry about the alternator being able to handle the extra electrical current draw of the headlight and two driving lights. So, I decided that I would replace the headlight with one that would fit and have better output. 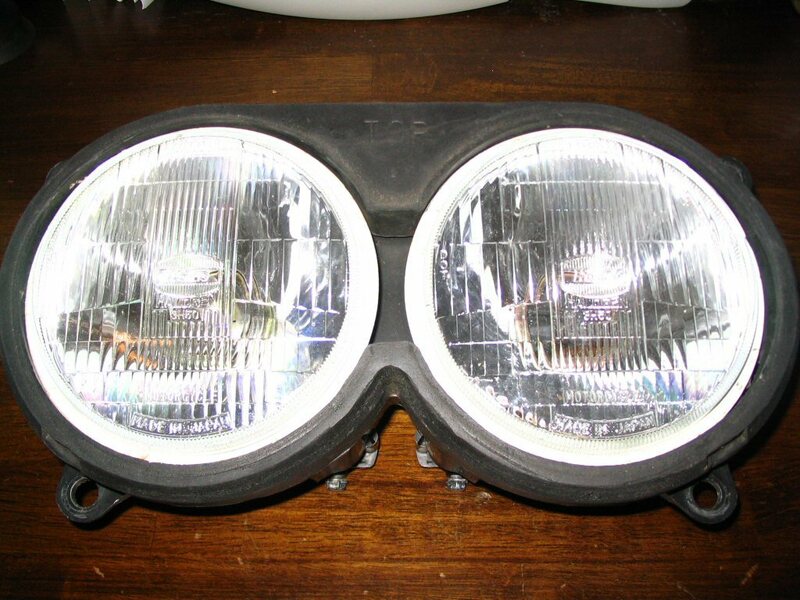 I stumbled across a headlight from a 1992-96 Yamaha XJ600 Seca II on ebay for USD $14.99 delivered. 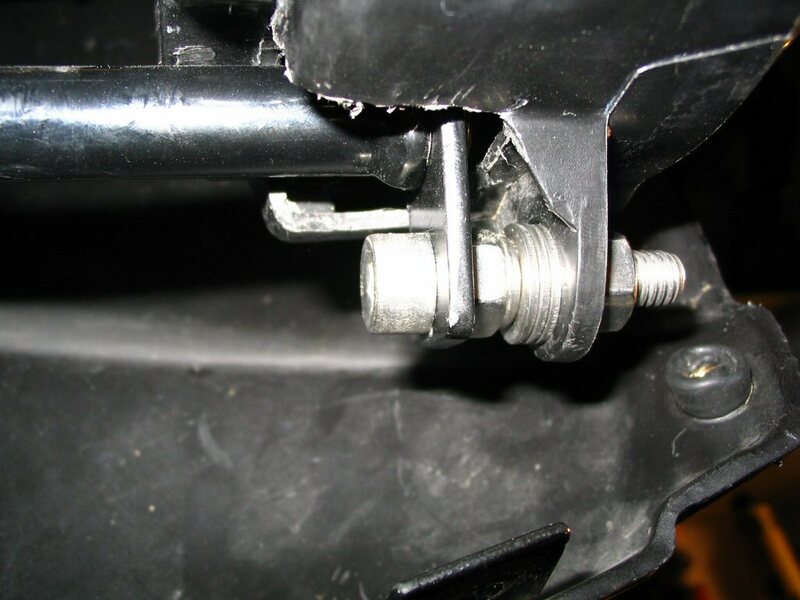 Once it arrived, I made a few adapters and bolted it right on. It didn't quite fit the 1100 fairing, though, and I was reluctant to start chopping up a fairing whose replacement cost from Moto Guzzi would be close to USD $500.00. The light output was so much better, though, that I ran the Quota without the front fairing. I'd known the the front fairing from a Quota 1000 would bolt right on to a Quota 1100...and provide me with many more options for headlights with its dual 5 inch round headlight holes. But since Moto Guzzi didn't import any Quota 1000 models to the United States, spares would be difficult to find and I assumed the price of a new Quota 1000 fairing would be close to the cost of a new Quota 1100 fairing. Out of the blue, though, a European contributor on the Yahoo! Guzzi_Quota new group, Stanislav Bojan Zupet (Zupi) from Slovenia, stated that he had picked up an unpainted Quota 1000 fairing from Marc at Teo Lamers for 25 Euro. I couldn't believe it was that inexpensive! Several news group contributors expressed interest in the fairing and I soon had a group order placed with Teo Lamers. A few weeks later the package arrived and I distributed the fairings nationwide. The fairing truly is bolt-on ready and takes only a few minutes to swap out with the old fairing. Unfortunately, though, Teo Lamers didn't have any Quota 1000 headlights, so we were on our own for that. 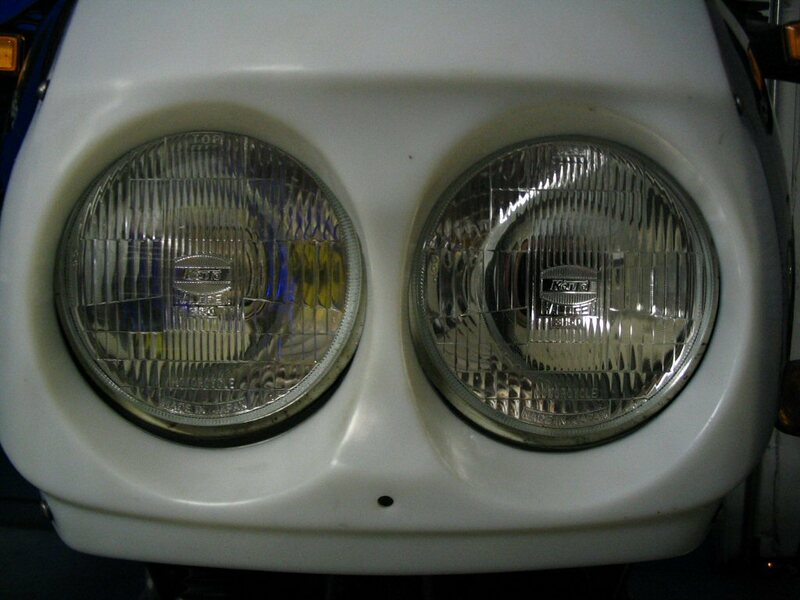 On a whim, I purchased a headlight from a 1993 Yamaha FZR600 on ebay for USD $19.99 delivered. Surprisingly, it fits quite nicely with a few key modifications and some special brackets. With just one bulb (55/60 watt), I am very impressed with the output of the FZR headlight. It is much better than the stop-gap Seca II headlight I had been running and quantum leaps forward from the stock Quota headlight. 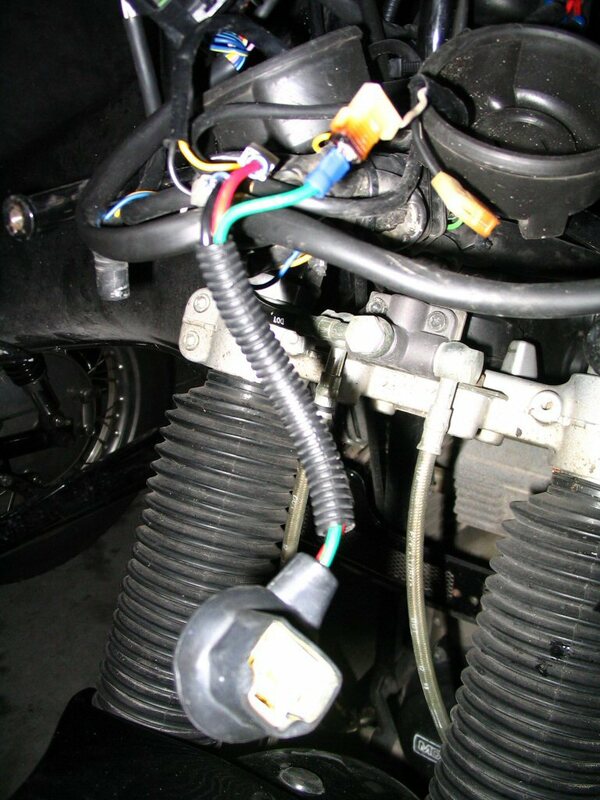 For the time being, I am running two H4 bulbs in the headlight, but I only have one hooked up. The light output is more than sufficient, doesn't eat up a lot of electricity, and gives me a spare bulb in case of failures. Eventually, after I install a voltmeter, I will implement a switchable circuit that will allow me to operate both bulbs simultaneously - depending on engine speeds, etc. I'm now running both headlights all the time and my battery/charging system is having no difficulty keeping up. I installed a voltmeter to keep track of the state of the battery - but my experience has been that I can safely ignore it most of the time. If I were to let the bike idle for long periods of time or really lug it, I suppose I could run down the battery. But I don't plan on doing either of those activities...and the light output is so much better! At normal engine speeds (3000 RPM on up) I am easily charging at over 14 volts. Front view of headlight. Mounting a Yamaha FZR headlight to a Moto Guzzi Quota 1100 ES. Photo courtesy of Gregory Bender. Rear view of headlight, note cut-outs to clear bottom mounting bracket. Mounting a Yamaha FZR headlight to a Moto Guzzi Quota 1100 ES. Wiring adapter, just plug in and go. 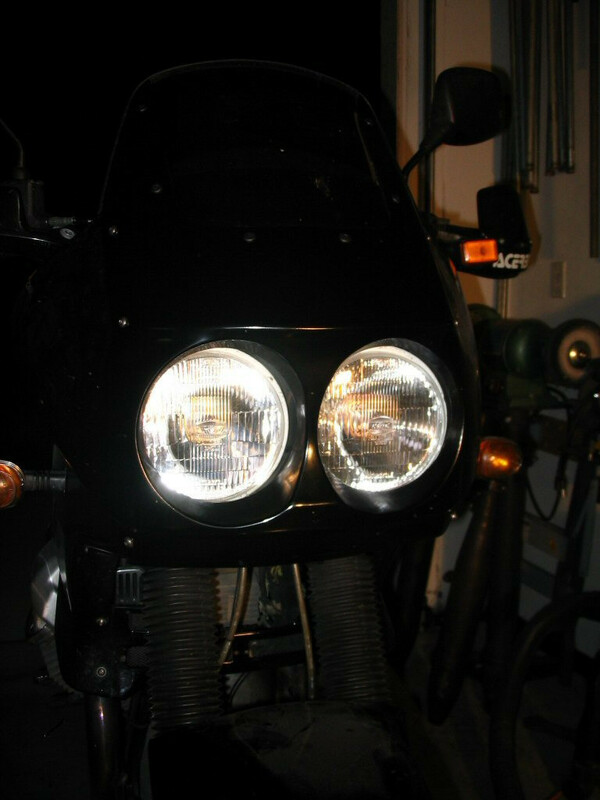 Mounting a Yamaha FZR headlight to a Moto Guzzi Quota 1100 ES. View of headlight mounted. 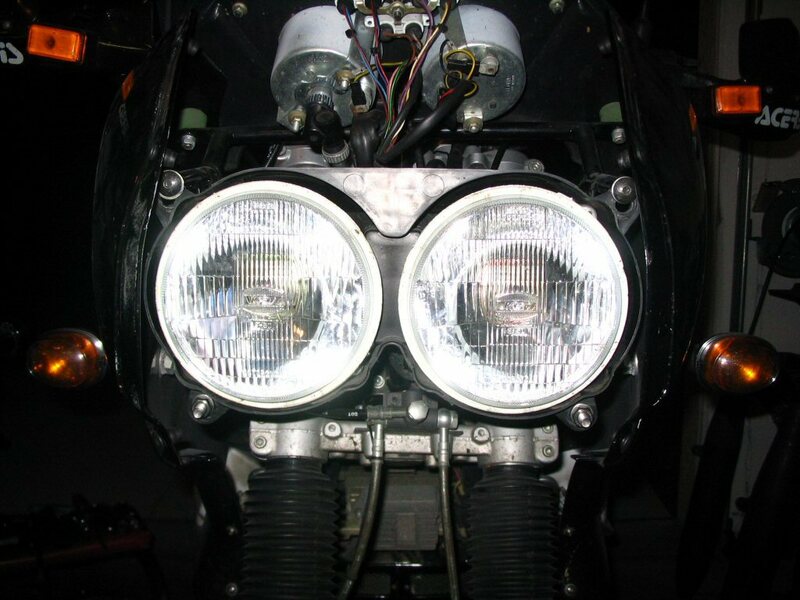 Mounting a Yamaha FZR headlight to a Moto Guzzi Quota 1100 ES. Top left headlight mount. 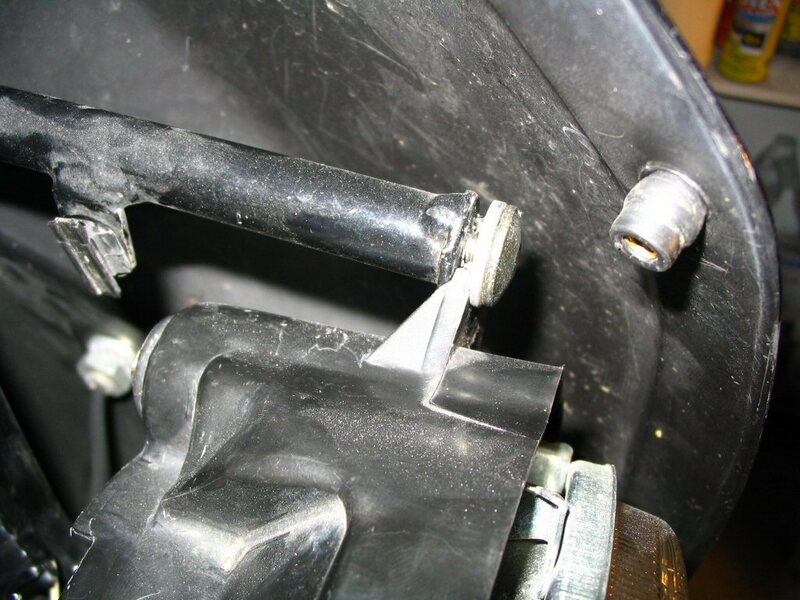 Mounting a Yamaha FZR headlight to a Moto Guzzi Quota 1100 ES. 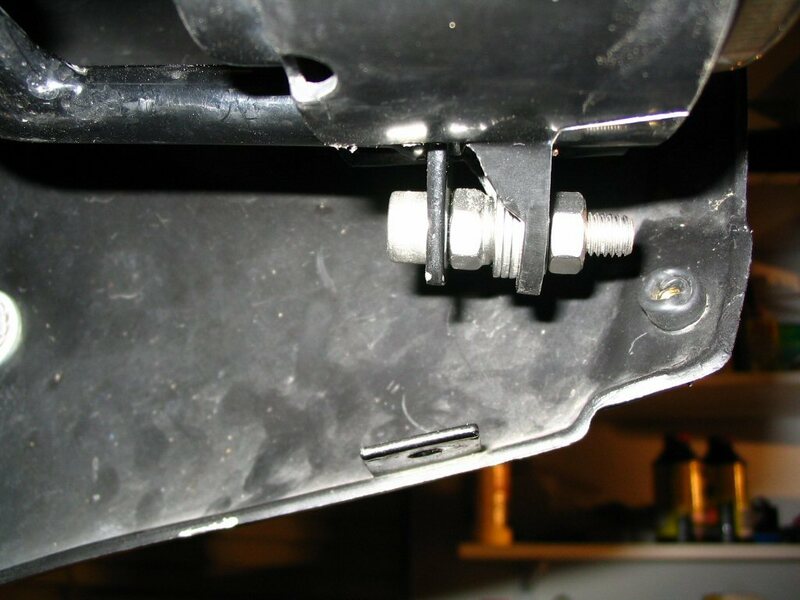 Top right headlight mount. 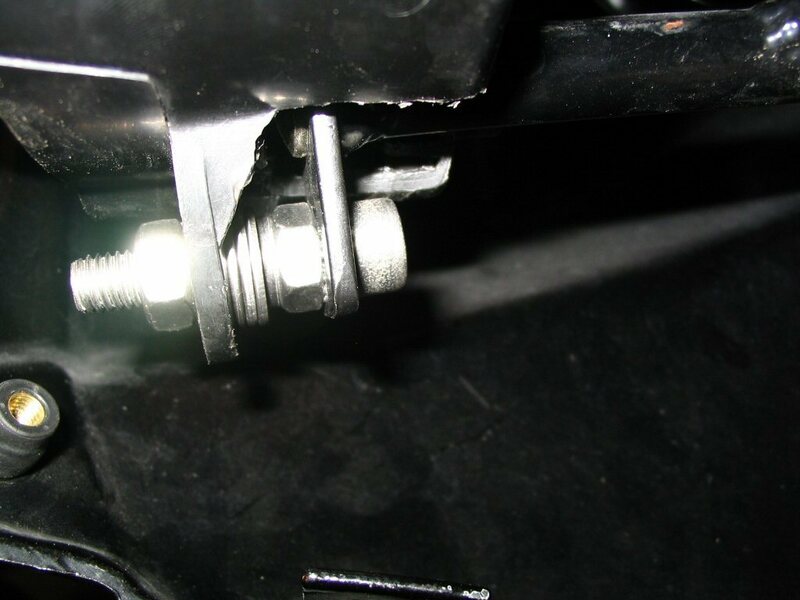 Mounting a Yamaha FZR headlight to a Moto Guzzi Quota 1100 ES. Bottom left headlight mount. Mounting a Yamaha FZR headlight to a Moto Guzzi Quota 1100 ES. 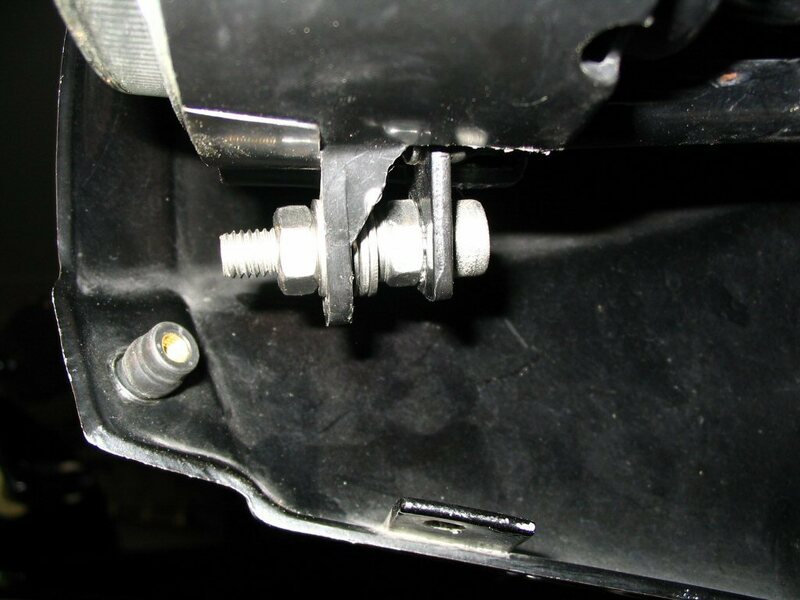 Bottom right headlight mount. Mounting a Yamaha FZR headlight to a Moto Guzzi Quota 1100 ES. Front view of fairing and headlight. Mounting a Yamaha FZR headlight to a Moto Guzzi Quota 1100 ES. Close up view of how the headlight fits in the fairing. Mounting a Yamaha FZR headlight to a Moto Guzzi Quota 1100 ES. Painted fairing and headlight. 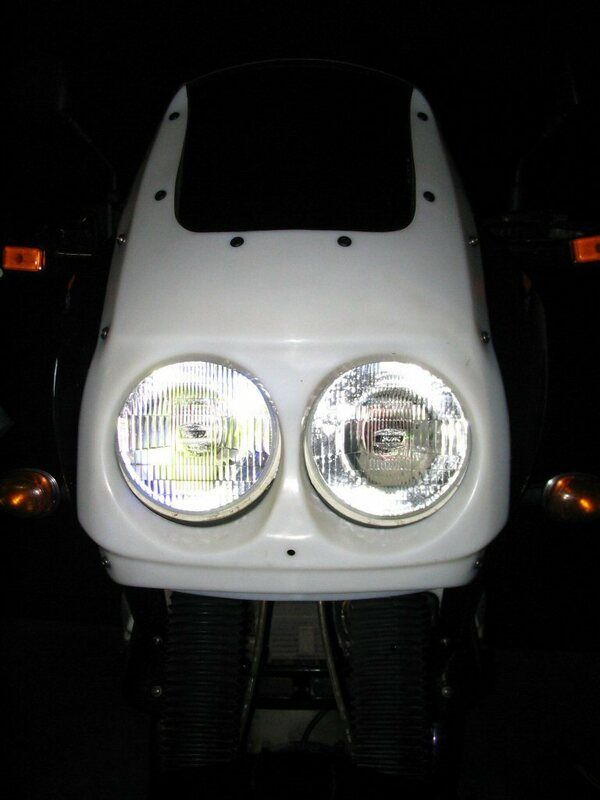 Mounting a Yamaha FZR headlight to a Moto Guzzi Quota 1100 ES.